The Dilettante, living the dream of his good friend Helen Bass, decided to get lost last Thursday. 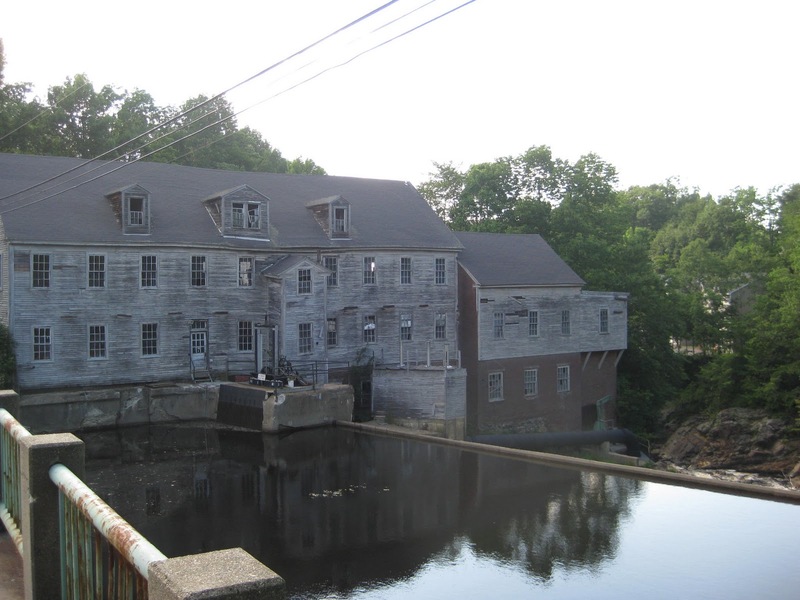 Turning off the main road to Hamilton House, the pace slows immediately, crossing the falls past this old mill. At the next turn, one is on a narrow country lane between hedgrows, feeling rather like Toad on a summer drive. On the way home on a business trip, with work left to do, driving in staggering heat and traffic (‘traffic’ being a euphemism for almost endless interstate highway road construction slow-downs through Massachusetts and New Hampshire), I cracked, and rather than continue responsibly on my way to the day’s final destination, at 3:49 PM I veered left, off I-95 at exit 2 and up Rte. 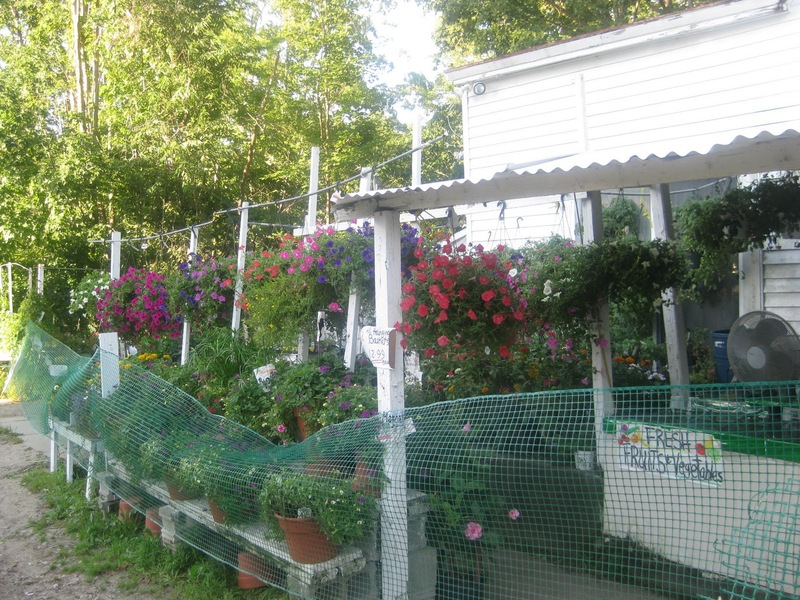 127 to South Berwick and Hamilton House, one of the loveliest destinations in Maine. 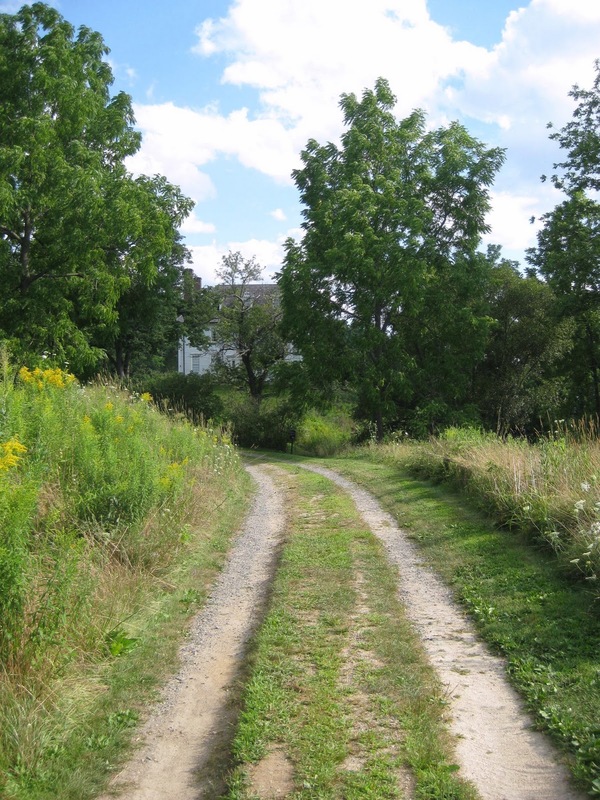 At the end of a narrow country lane, the grassy drive to Hamilton House. 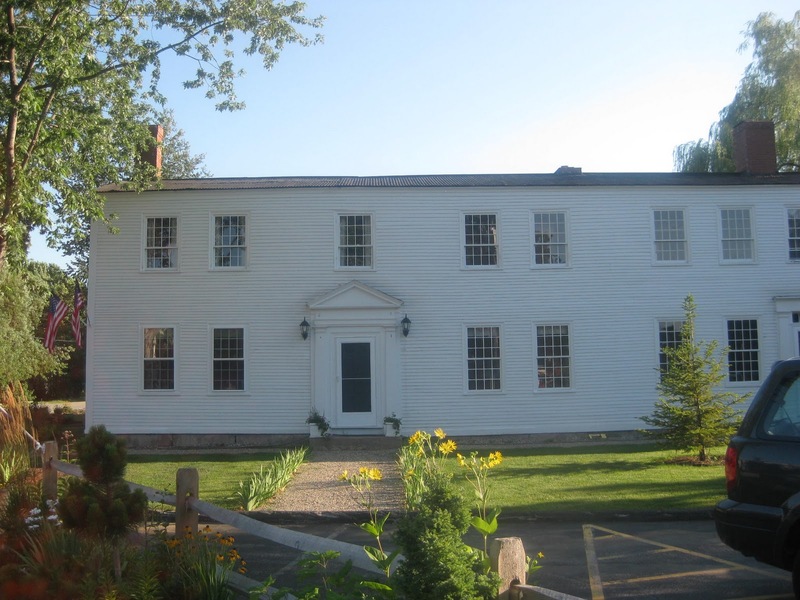 So, you thought this was going to be a post about Hamilton House? Fooled ya. I took lots of pictures, but that will be another day. 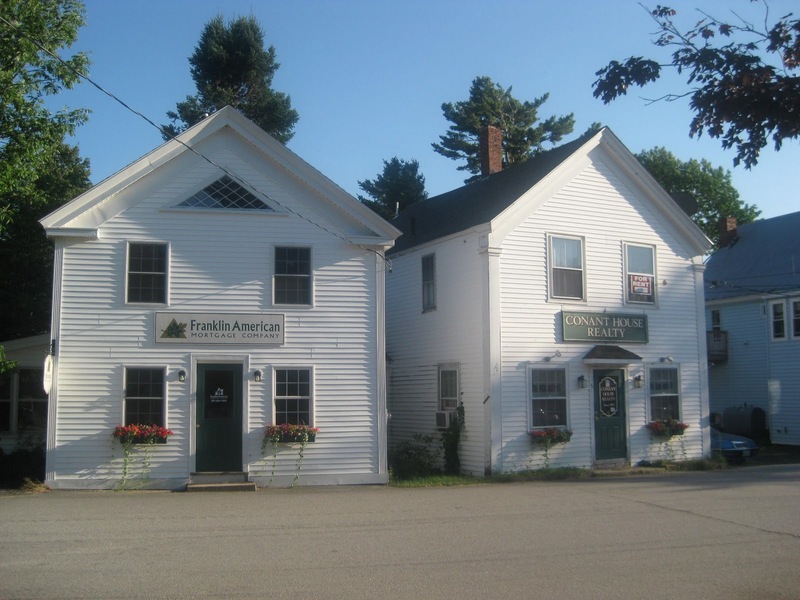 After leaving Hamilton House, considerably refreshed, and too late to resume my business schedule, I decided to take a long route to Portland, and detour through Alfred, Maine, in search of a distinctive house I saw on a family outing forty years ago and had never forgotten. A classic early 19th century Federal in North Berwick village, based on Asher Benjamin designs, in need of some tlc and shrubbery removal, but blessedly spared the plastic shutter/replacement window curse—so far. Notice the elegant globe tracery of the fan over the door. 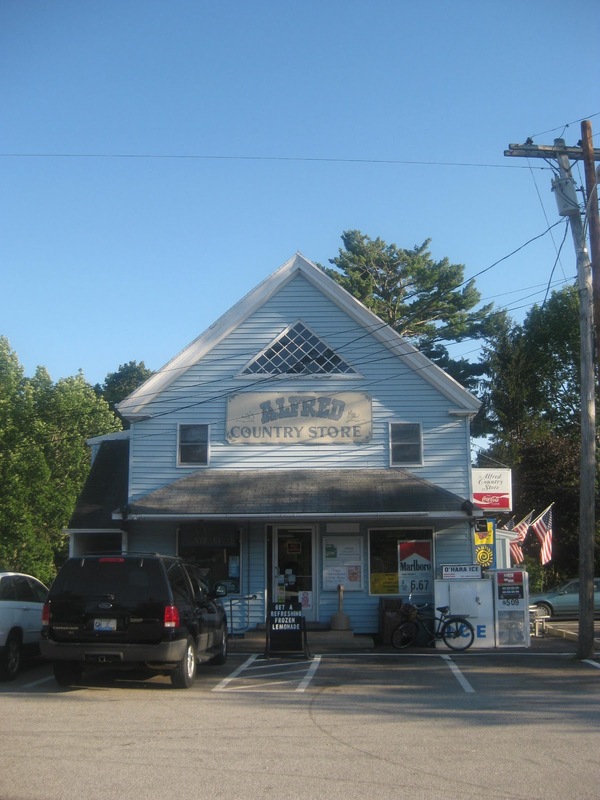 The road running northeast from South Berwick to Sanford is a mostly lovely one, with only a blessedly brief incidence of strip malls, winding through an old landscape of farms, and the charming village of North Berwick. After North Berwick, signs became confusing, and obviously I misread them, because rather than arriving in Alfred, I wound up in the city of Sanford, an interesting old company town, prosperous and neat, still bearing the name of its industrial patron, Mr. Goodall, on most of its public buildings and former factories. 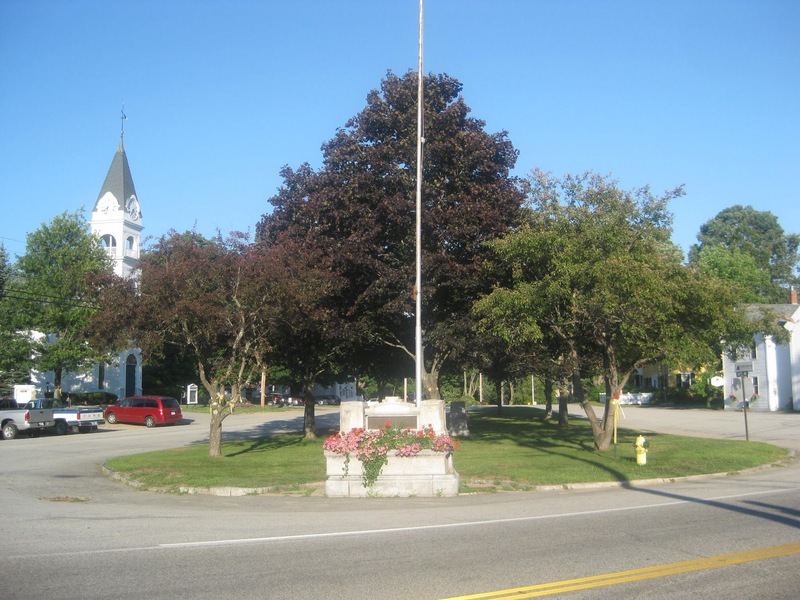 Downtown Alfred, Maine, arranged around its tidy village green, the horse watering trough now used as a planter for flowers. Eventually, I was headed straight again, and in the waning afternoon light at last arrived in Alfred, a neat little town arranged around a village green surrounded by mostly 19th century buildings in good repair, and a few small businesses. 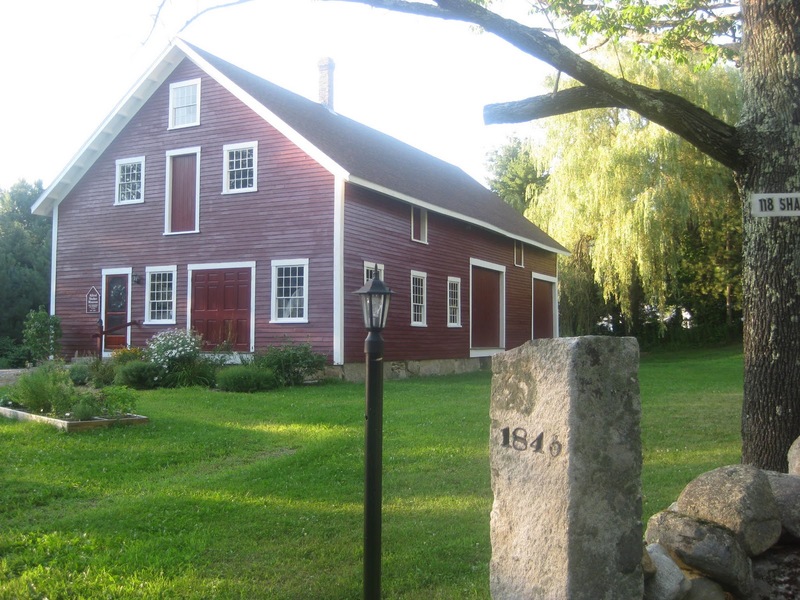 I was surprised to find that this rural little town, on Bungamut Lake, and site of a former Shaker settlement, is also the Shiretown of York County. 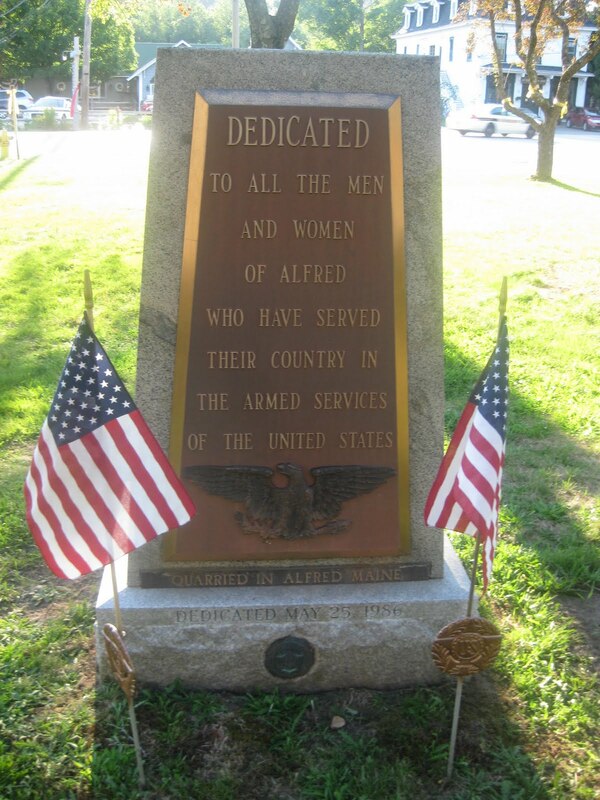 Seen in the early evening light, everything about ‘downtown’ Alfred speaks of friendliness and pride in the village. 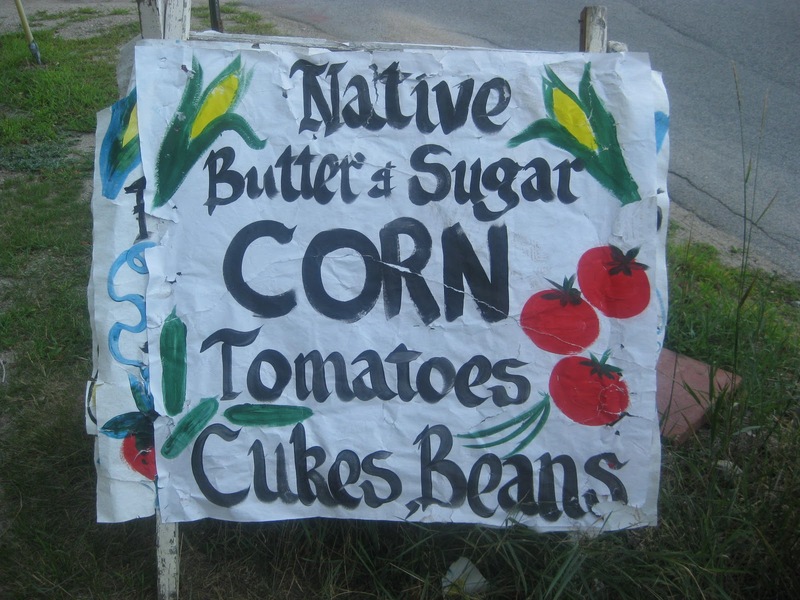 Not too polished, not too gritty, but just right, and friendly. 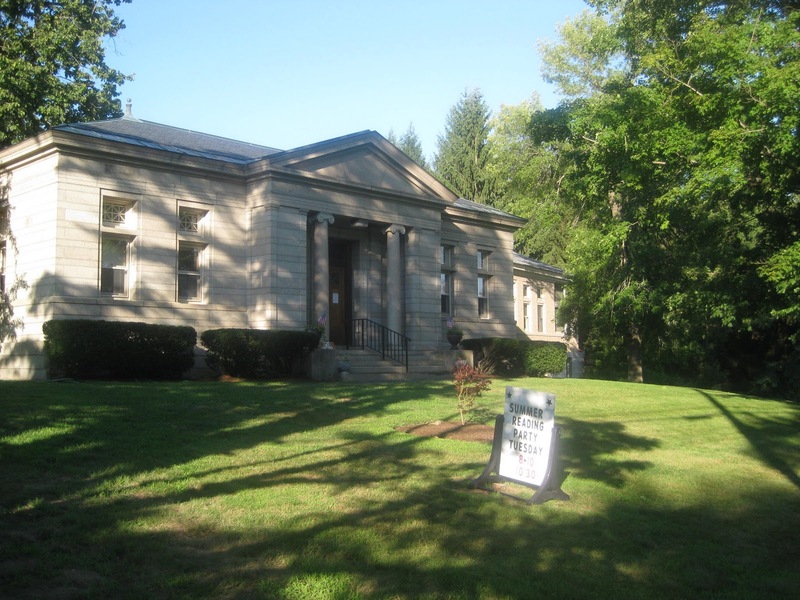 How can one not fall in love with a village whose library sports a ‘Summer Reading Party, Tuesday Evening’ sign on its lawn? At first I couldn’t find the house that had sparked my drive to this lovely place, and finally it emerged, hidden in semi-desuetude behind overgrown Hemlocks (when young, Hemlock trees are among my favorites, yet when mature, nothing spells ‘gloom’ better). And missing from the house was the distinctive feature that had captured my imagination as a teenager. 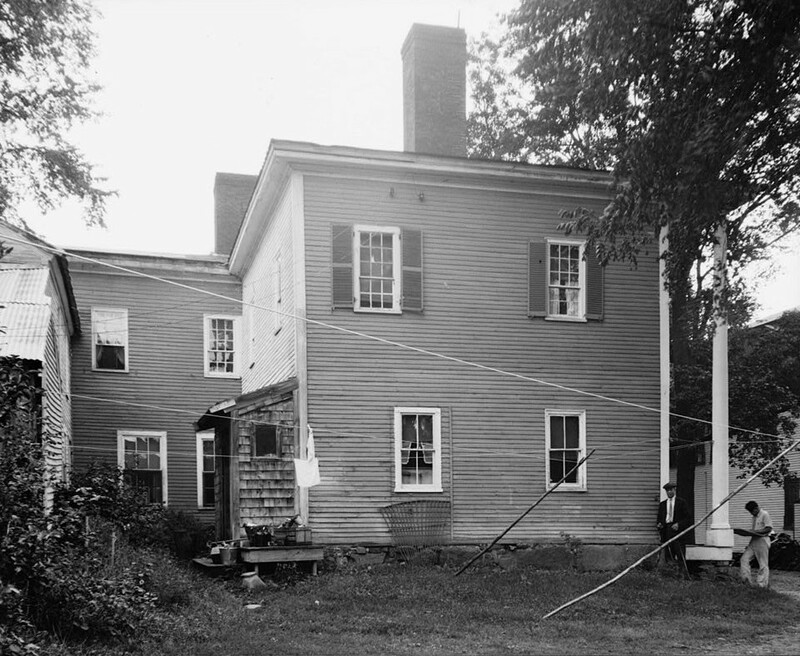 The house in question is the Holmes House, built in 1802 by John Holmes, the first senator from what was then the District of Maine, still part of Massachussets. 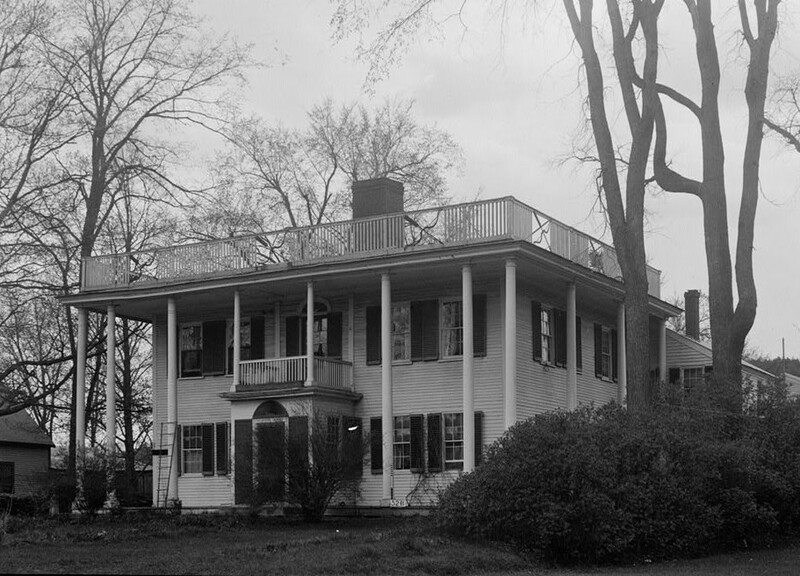 It is a most unusual house for the time and place, with a portico of 14 columns, each turned from a single pine trunk. 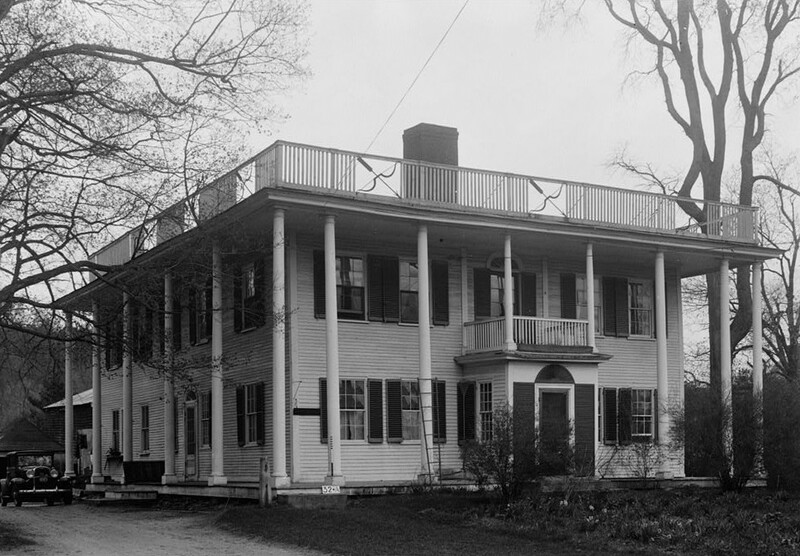 Such porticos made very rare appearances in New England before the Greek Revival style took hold in the second quarter of the 19th century. 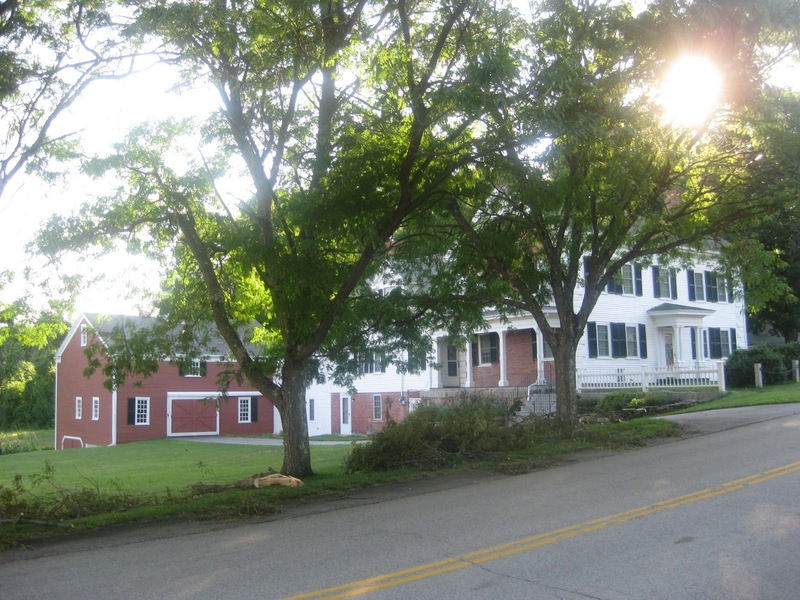 A few such houses were built in suburban Boston, then countryside, in the late 18th century by a group of Boston merchants with connections in the Barbadian rum and sugar trade, where they picked up the ideas for columned porches. One is tempted to wonder whether seeing these, or perhaps images of America’s most famous portico, Mt. 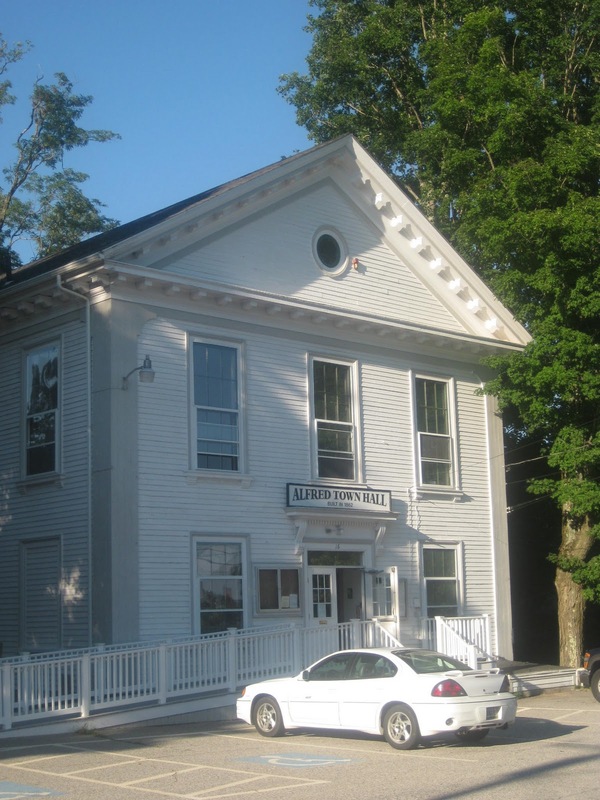 Vernon, inspired Holmes to build his, certainly the first in Maine. Oddly proportioned, folky and naive, it is undeniably more interesting as an anomaly than it is beautiful, but lovely in its details. Depression-era photographs of the front & rear elevations of the Holmes house, from the Historic American Buildings Survey. 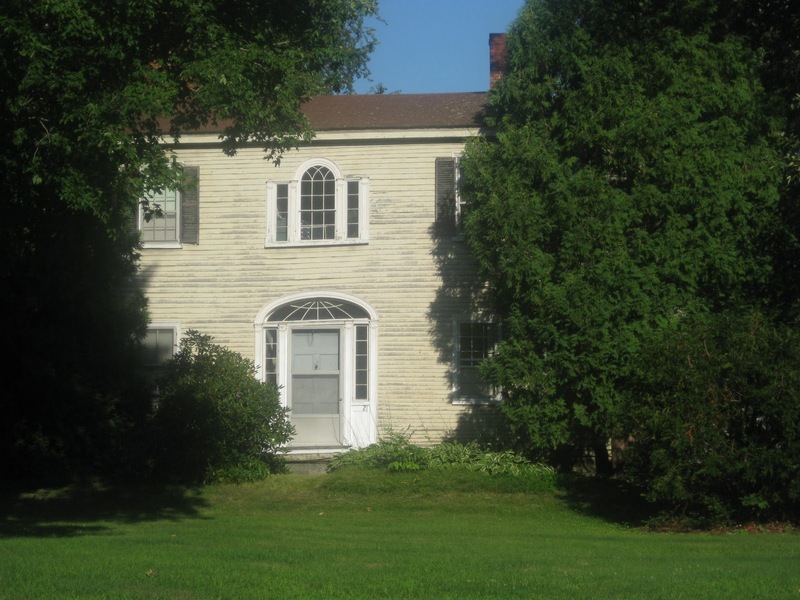 The rear view demonstrates the 19th century custom, still in evidence in my childhood in the 1960’s, of painting the rear elevations in a cheaper color, with the front elevations in more expensive white. Modern paint manufacture has leveled the playing field, and this charming detail is rarely seen anymore. 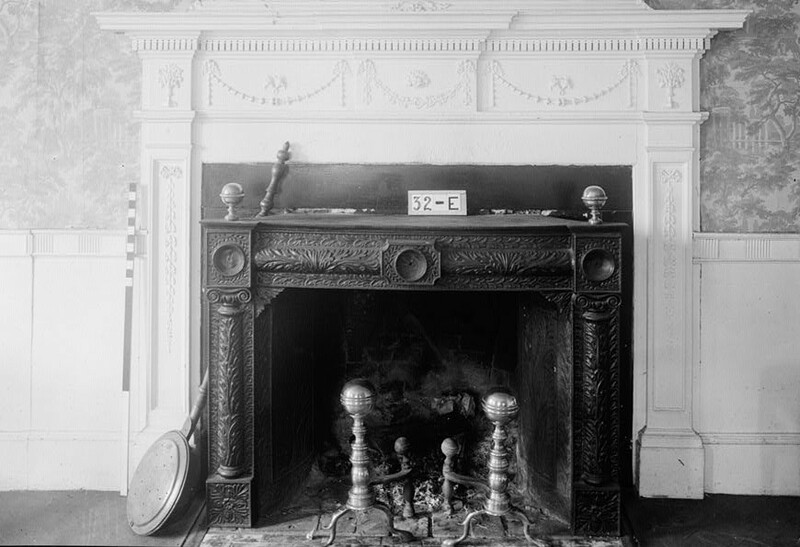 The Adamesque parlor mantel, with applied composition ornament likely imported from Boston or England, a rare refinement in rural Maine in the early 19th century. The legend surrounding the bow and arrow panels in the roof balustrade is that Holmes was believed by racist political enemies to have Indian blood, and though he did not, his response was to have the local blacksmith fashion the bows and arrows as his response. 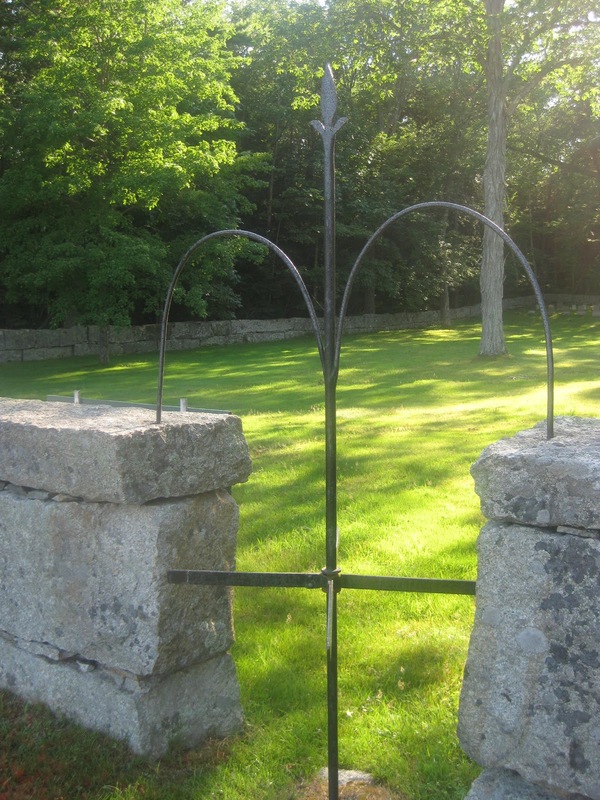 As sad as this sort of story makes the modern listener, the fact is that they are beautiful examples of early American ironwork, and a most distinctive design feature. Drawings of the Holmes House from the Historic American Buildings Survey. The tightly curved stair has a shallow dome at the second floor level. 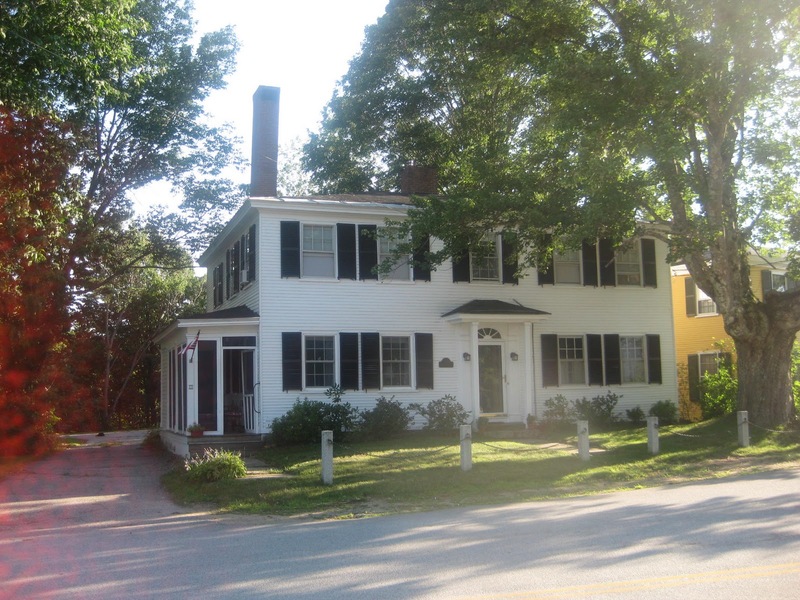 A singular blend of sophisticated ideas and naive design execution, the Holmes house is a one-off in the story of Maine architecture, and it is sad in the extreme that it is not surviving well in the 21st century. The house was originally built around a small courtyard, although demolition of the original kitchen long ago has changed the shape to an ‘L’. Inside was a curving staircase, and a mantel decorated with imported composition ornament, a relative rarity in rural Maine in this era. 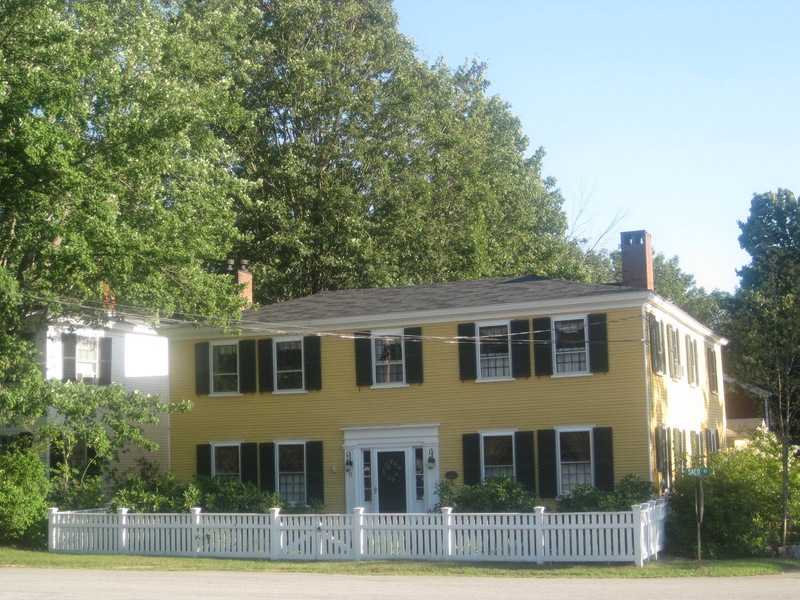 (for the ultimate example in Maine, visit the Ruggles House, here). And now for the shock: The balustrade is gone. 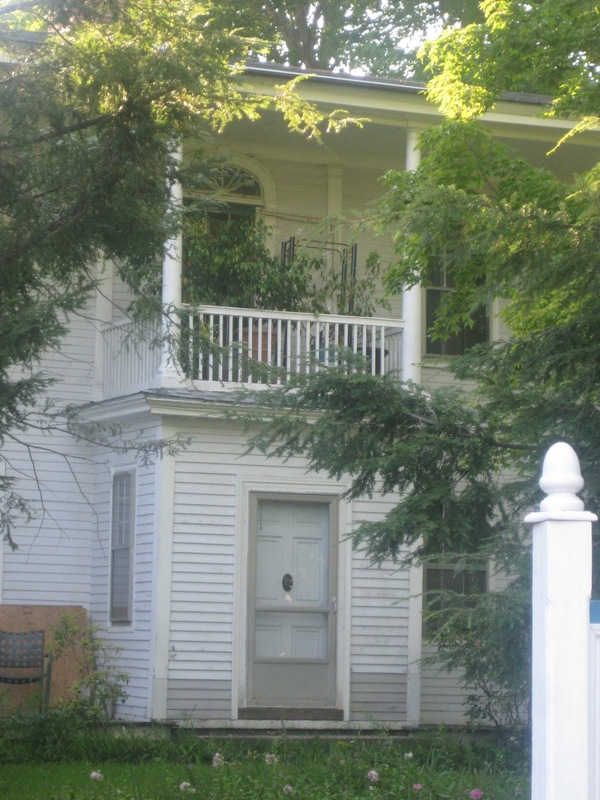 The house, neither well maintained nor totally neglected, lacks its signature feature, the balustrade, unique in Maine. And while the Dilettante understands all too well the economics of such things, and has not been able to determine its fate (although I have a sinking feeling that the extraordinary iron bow & arrow that I saw at an Antiques show last year, reminding me strongly of the ones at the Holmes house, may well have been one from the Holmes house. 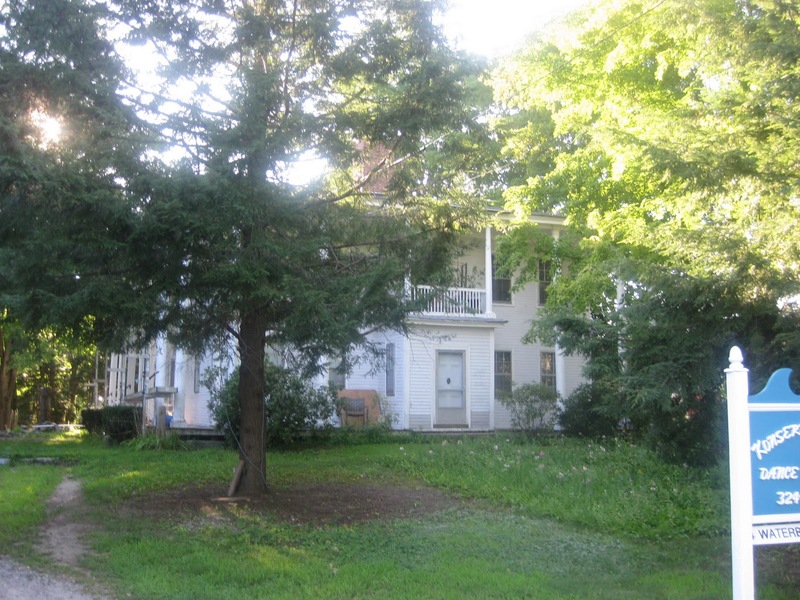 The entrance of the Holmes House. Gone from the entry are the shutters and louvered overdoor fan that echoed the upstairs door to the balcony. Seeing painting in progress, and repaired clapboards, one hopes that it is merely in storage for painting, and not lost also. One can’t save everything, and of course one man’s treasure is another man’s trash, but to see one of the important early architectural features of Maine possibly lost is a sad thing. 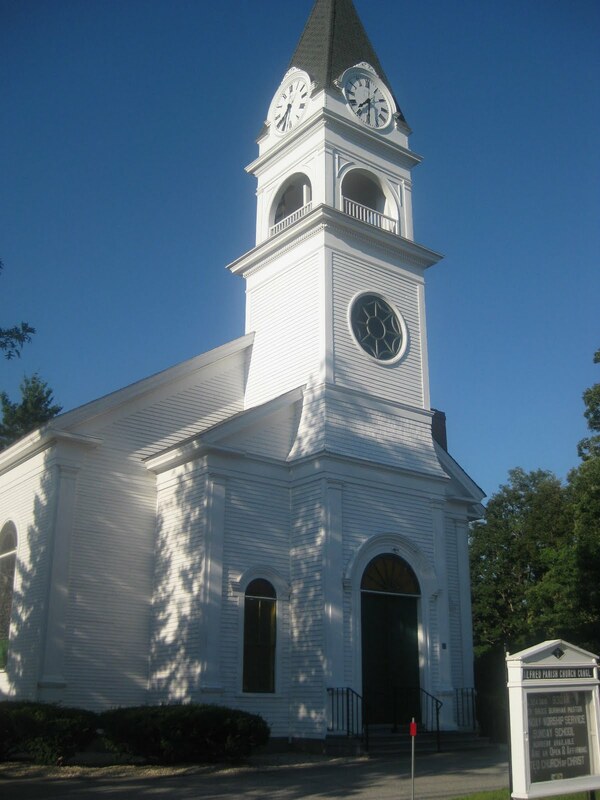 Preservation is an iffy thing in America, and too much goes unappreciated. 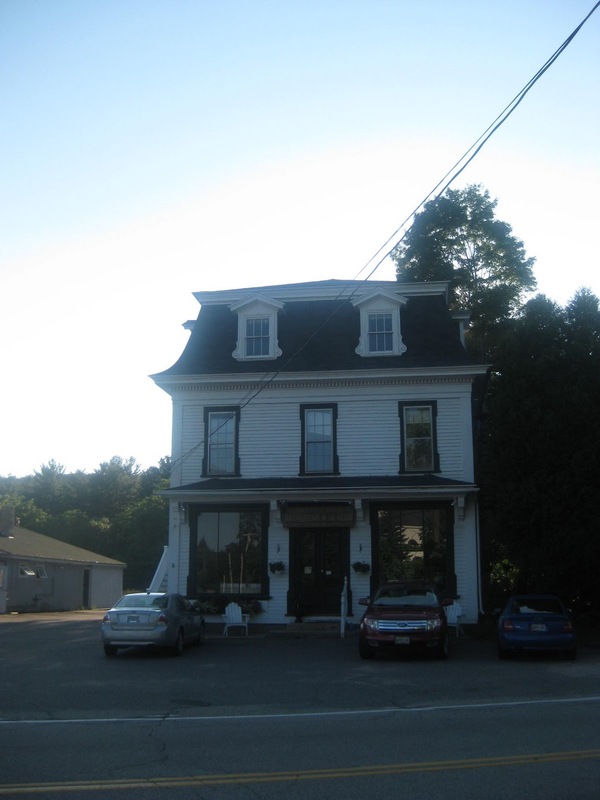 One can only hope that the balustrade is stored and waiting to be replaced….but if even Samuel Yellin’s studio cannot be preserved, and is raped for salvage and profit, what hope for the work of an anonymous Maine blacksmith of the early 19th century? As I was typing the first draft of this post earlier today, the estimable and ever entertaining architectural historian Christopher Monkhouse happened to pay a call. 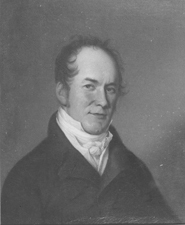 When I told him what I was writing, he replied how funny it was that I should mention it, as he had recently thought about a Gilbert Stuart-ish portrait of the same John Holmes, painted in the early 19th century, that he had once owned.